Republican and Democratic members of Congress are denouncing President Trump's Tuesday statement saying the U.S. will stand by Saudi Arabia, despite the murder of journalist Jamal Khashoggi and the CIA's reported conclusion that Saudi Crown Prince Mohammed bin Salman (MBS) ordered the assassination. The bottom line ... 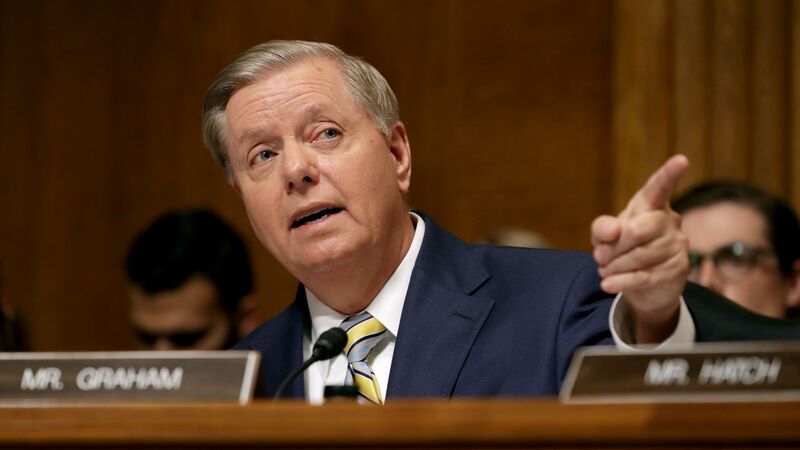 Even Republican Sen. Lindsey Graham (R-S.C.), one of Trump's most reliable Senate supporters, rebuked his response, comparing him to former President Obama: "One thing I learned during the Obama years is that when you look the other way regarding problems in the Middle East, it seldom works out. ... Likewise, it is not in our national security interests to look the other way when it comes to the brutal murder of Mr. Jamal #Khashoggi ... I fully realize we have to deal with bad actors and imperfect situations on the international stage. However, when we lose our moral voice, we lose our strongest asset." Sen. Bob Corker (R-Tenn.): "I never thought I’d see the day a White House would moonlight as a public relations firm for the Crown Prince of Saudi Arabia." Sen. Jeff Flake (R-Ariz.): "'Great allies' don’t plot the murder of journalists, Mr. President. 'Great allies' don’t lure their own citizens into a trap, then kill them." Sen. Marco Rubio (R-Fla.): "Our foreign policy must be about promoting our national interests. It is in our natl interest to defend human rights. HR violations lead to mass migration, help extremism flourish & often result in new governments hostile towards the U.S. because we supported their oppressors." Rep. Justin Amash (R-Mich.): "This is an utterly absurd, irresponsible, and repugnant statement from @POTUS. No amount of money justifies the betrayal of our principles and values as Americans." Sen. Dianne Feinstein (D-Calif.): "I’m shocked that President Trump said there will be no punishment for Crown Prince Mohammed bin Salman for the killing of Jamal Khashoggi. ... I plan to vote against any future arms sales and appropriation to Saudi Arabia. I also believe that the United States should consider sanctions against the crown prince and that the Saudi ambassador to the United States should not be allowed to continue in that role." Sen. Mark Warner (D-Va.): "It’s hard to imagine that the Saudis would have taken this action under a Reagan, Bush, Clinton or Obama Administration without facing serious repercussions. Rep. Adam Schiff (D-Calif.): "To say 'maybe he did and maybe he didn’t,' or that we are incapable of finding out the truth, or that knowing the truth our silence can be bought with arms sales, undermines the Presidency, credibility of our intelligence professionals, and our role as a champion of human rights."